Kids Boutiques on Target: Specialty store owners work hard to choose a product mix that is cutting edge, fresh and novel, and represents a compelling value to the consumer. Basically kids clothing specialty stores will never compete with mass merchants on price, but the product selection at the local baby boutique could never be produced for the mass market. Also, there are immense benefits of doing business locally with the neighborhood children clothing boutique as opposed to shopping at big box retailers. At the Small Business Resource blog they go into detail about these benefits. Below I've twisted the article slightly to make it focused on the local kids fashion retailer. Independent local kids boutiques employ an array of local supporting services. They hire architects, designers, cabinet shops, sign makers and contractors for construction. Local accountants, insurance brokers, computer consultants, attorneys, and advertising agencies help run their businesses. In contrast, a big box retailer is a clone of other units, eliminates the need for local planning, and uses a minimum of local goods and services. The chain store’s profits promptly are exported to corporate headquarters. Dollars spent at community-based merchants create a multiplier effect in the local economy that, by most findings, typically amounts to three times that of a chain. This is well-evidenced by an economic impact study by the IBA in Austin, Texas that concluded for every $100 spent at a chain, $13 remained in the community while $45 remained when spent with home town businesses. Kids boutique retailers sift through competing clothing (and coat) lines to find those that will appeal to their customers. Though a single local shop may carry a smaller selection than a big chain, you can bet a dollar that the local store owner will have more appealing products for its customers. As fewer giant corporations dominate production and sales, our options – determined by a powerful few — dwindle. Our freedom of choice is imperiled when a few buyers from national chains choose what reaches customers. When asked to name our favorite restaurant, cafe, or shop, it’s typically a unique local business. Just look at the results in any community’s “Best of” polls as proof. Those businesses define our sense of place, but we often forget their survival depends on our patronage. Local owners, typically having invested much of their life savings in their businesses, have a natural interest in the community’s long-term health. Community-based businesses are essential to charitable endeavors, and their owners frequently serve on local boards and support numerous causes. The overall impacts are clear: locally-owned businesses play a vital role in our community that chains rarely do. To the success of the local children's boutique! 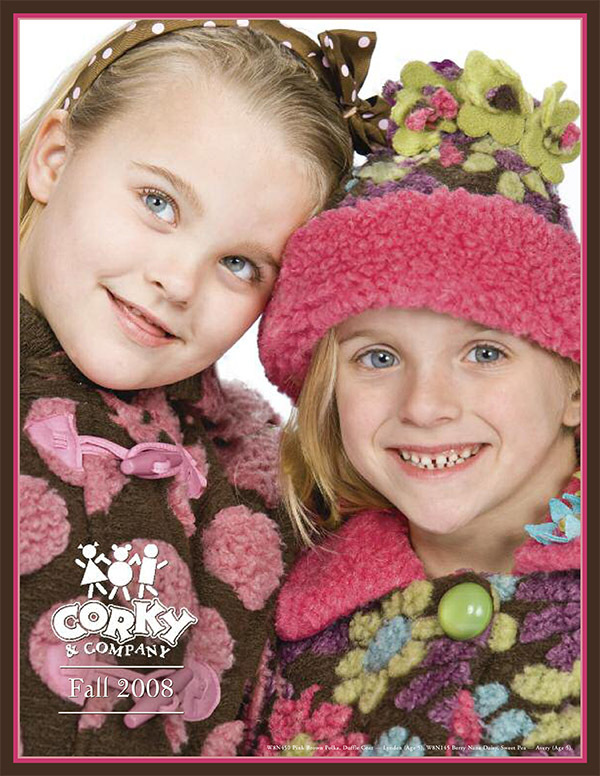 At Corky & Company, like most small companies, we pride ourselves on the quality of the garments and products we make. The image of your company and ultimately its brand longevity will depend on product quality. A small branded apparel manufacturer can’t afford a large quality assurance department, nor is this the proper way to insure a quality product in garment manufacturing. At Corky, we define quality in five very simple steps. These five steps may sounds simple, but to implement properly you will need the combined efforts of your entire workforce, supplier base, sales force and some very straightforward customers. This is what we call total quality management; quality of design, development, production, delivery and salability. I purposefully didn’t capitalize total quality management because that would infer a proper noun or the name of a program, but I prefer it to be a noun, management, modified by two adjectives total and quality. Never think you’ve mastered the total quality cycle because the marketplace always throws a curve ball; employees will leave or retire, suppliers will go out of business, new suppliers will develop great products, customers will order later than expected, production will start and/or finish late, and competitors will emerge with a better product. You as the business leader must accepted the fact that total quality will be an endless effort and require a positive company culture of constant improvement and mutual problem solving. The quality of a garment is a function of good design, basically quality is designed into a garment from the start. In addition to a “look” that will retail, design is responsible for fabric, trim and thread selection, fit and product specifications. Get anything wrong here and maintaining total quality control will be near impossible. Sales people need to provide design with retailer and consumer input so positive trends can be emphasized and negative trends can be addressed. I’ve learned to, Treat Your Customers Like Royalty, because they truly want to tell you how to succeed. Whenever possible have your design team go to trade shows and involve your sales people in line development before cutting sample sets. The return on this investment is enormous. A good consistent fit is imperative in building a brand! Corky coats have had the same fit for 15 years “a generous cut that runs true to size.” Sales people, retailers and consumers all know how to describe the fit of a Corky coat. Whenever we produce a coat that does not run true to size we receive an enormous amount of negative feedback that we must quickly address. Look at a consistent fit this way, if one size 3T style fits a child, every size 3T in your line should fit that same child. Produce to specifications and deliver on time. Oh how simple this sounds. In the last three years, technology advances, lower travel costs and improved shipping options has made it relatively simple for small apparel manufacturers to source raw materials from suppliers on four continents without the need to speak English, Spanish and Mandarin. This has led to more fashion value for consumers as discussed in my post, Specialty Stores on Target. Five years ago a small apparel manufacturer had a network of suppliers in close proximity, but today many of those suppliers have gone out of business. Now small business production managers are like orchestra leaders, coordinating the global purchase and delivery of raw materials, the offshore assembly of garments and the importation of finished items to the company’s warehouse. Unfortunately, this type of supply chain came about, not by evolution, but by revolution when the US and its trading partners repealed the Multi Fiber Act in 2004. At Corky, we had become well known for the quality of our delivery as well as the quality of our products. However, the events of the last few years had a detrimental impact on the quality of our delivery. During these changes, I’ve insisted the quality of a Corky coat will never be sacrificed over the quality of delivery. I think this was a wise decision because now that the quality of our delivery is improving dramatically, the quality of the brand was never sacrificed. Many business leaders have their own definition of total quality management, and this post is my attempt to explain Corky and Company’s culture of total quality management.